The Adafruit Feather HUZZAH board (image attribution: Adafruit). See the corresponding section of tutorial: Getting started with MicroPython on the ESP8266. It also includes a troubleshooting subsection. The MicroPython REPL is on UART0 (GPIO1=TX, GPIO3=RX) at baudrate 115200. Tab-completion is useful to find out what methods an object has. Paste mode (ctrl-E) is useful to paste a large slab of Python code into the REPL. Once the network is established the socket module can be used to create and use TCP/UDP sockets as usual. The period is in milliseconds. Available pins are: 0, 1, 2, 3, 4, 5, 12, 13, 14, 15, 16, which correspond to the actual GPIO pin numbers of ESP8266 chip. Note that many end-user boards use their own adhoc pin numbering (marked e.g. D0, D1, ...). As MicroPython supports different boards and modules, physical pin numbering was chosen as the lowest common denominator. For mapping between board logical pins and physical chip pins, consult your board documentation. Note that Pin(1) and Pin(3) are REPL UART TX and RX respectively. Also note that Pin(16) is a special pin (used for wakeup from deepsleep mode) and may be not available for use with higher-level classes like Neopixel. PWM can be enabled on all pins except Pin(16). There is a single frequency for all channels, with range between 1 and 1000 (measured in Hz). The duty cycle is between 0 and 1023 inclusive. ADC is available on a dedicated pin. Note that input voltages on the ADC pin must be between 0v and 1.0v. Be sure to put a 4.7k pull-up resistor on the data line. Note that the convert_temp() method must be called each time you want to sample the temperature. 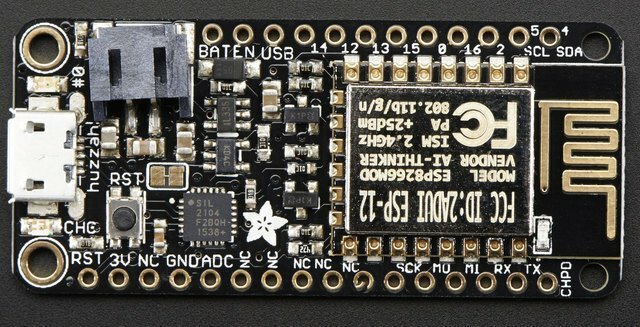 The supported way to use WebREPL is by connecting to ESP8266 access point, but the daemon is also started on STA interface if it is active, so if your router is set up and works correctly, you may also use WebREPL while connected to your normal Internet access point (use the ESP8266 AP connection method if you face any issues). Besides terminal/command prompt access, WebREPL also has provision for file transfer (both upload and download). Web client has buttons for the corresponding functions, or you can use command-line client webrepl_cli.py from the repository above. See the MicroPython forum for other community-supported alternatives to transfer files to ESP8266. © Copyright 2014-2019, Damien P. George, Paul Sokolovsky, and contributors. Last updated on 25 Jan 2019.